Join us August 3-4, 2017, in Boca Raton, Florida – at a five-star facility on the water, for a Mindfulness in Law Conference happening at one of the two biggest gatherings of law professors, deans, and administrators in the country: the South East Association of Law Schools (SEALS). The conference is being organized by the Mindfulness Affinity Group (MAG) of the Association of American Law Schools (AALS) Section on Balance in Legal Education, the Mindfulness In Law Society (MILS), and sponsored through a generous grant from the Lenz Foundation. 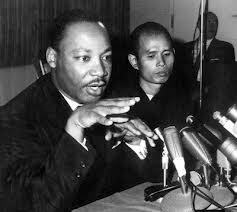 In 1967, Martin Luther King, Jr., nominated Thich Nhat Hanh, a Buddhist monk, mindfulness teacher, and peace advocate from Vietnam, for the Nobel Peace Prize. In her article “The Dangers of McMindfulness,” Professor Kristen Ghodsee lays out an argument for why the mindfulness movement that is gaining momentum in America is an “insidious” threat to the well-being of our society, and to ourselves. While she does not define the term “McMindfulness,” she appears to use it to mean the many mindfulness programs that are popping up throughout our companies, our universities, and our mainstream Western culture. Professor Ghodsee asserts that mindfulness teaches people to passively accept the mass injustices of the world, to “block out” concern for our fellow humans that are suffering, and to capitulate to unhealthy or oppressive work environments that they may find themselves in. The problem with Professor Ghodsee’s argument is that it is based on a set of beliefs and assumptions about mindfulness that are not only untrue, but that actually fly in the face of core mindfulness principles. Professor Ghodsee’s critique of mindfulness, although well intentioned, is premised on three fundamental – and intertwined – misunderstandings of mindfulness. First, Professor Ghodsee believes that mindfulness calls for inaction in the face of injustice or unfairness, when it actually calls for conscious action. Second, she believes mindfulness’ focus on “transforming oneself” is incompatible with the goal of transforming one’s environment or world, when in fact, mindfulness views these two goals as interdependent. And third, she believes that mindfulness calls for ignoring or “blocking out” one’s difficult or painful emotions and thoughts, when it actually calls for honestly observing and fully experiencing them, so that they can be honored, processed in a healthy way, and eventually healed. When the core principles of mindfulness are better understood, the “dangers” that Professor Ghodsee warns against are quickley dispelled. First, regarding the suggestion that mindfulness calls for people to passively accept the injustice that surrounds them, this point fails to acknowledge that discouraging reactivity is not equivalent to promoting inactivity. Mindfulness seeks to assist people in becoming less reflexive or knee-jerk in their responses to a wide variety of stimuli, including injustice. For example, when we receive news of a tragedy like the Paris terrorist attacks referenced by Professor Ghodsee (or news of any of the other mass tragedies that have been occurring with regularity in the first half of 2016), we may initially feel so overwhelmed by anger or despair that we may feel tempted to react with violence or vigilantism. But when our actions are dictated by our initial visceral emotions, they tend to be short-sighted and strategically imprudent, and often unreasonable or even unjust. Contrary to Professor Ghodsee’s suggestion, mindfulness does not teach us not to act; it teaches us not to act reflexively. It helps us take action that is guided by principle and integrity, rather than raw instinct or impulsivity. Moreover, mindfulness helps us arrive at a clarity (before acting) that allows us to decipher which actions will tangibly further our end goal, and which ones will serve no purpose other than to waste our precious energy, effort, and time, and thereby only delay or interfere with the advancement of our ultimate goal. Accepting the things that we cannot change (as of the moment of our action) allows us to take imminent action that is far more effective and impactful, so that our efforts actually contribute to the change that we seek. Indeed, a big reason why the institutional change that Professor Ghodsee seeks is often avoided or delayed is because the change agents misdirect their energies, efforts, and emotions toward imprudent, irrational or cause-defeating action. Mindfulness helps change agents become better, more focused, and more effective advocates and activists. Unsurprisingly, many of history’s greatest change agents used approaches that were mindfulness-based or in deep alignment with core mindfulness principles. (Admittedly, the recently-erupting term, “mindfulness,” was not used at those times.) Mahatma Gandhi, Martin Luther King, Jr., and Nelson Mandela are three well-known individuals who achieved extraordinary societal change through the seemingly paradoxical approach of releasing anger and despise for the institutional injustice they battled, of resisting vitriolic rhetoric and reactionary aggressiveness, of arriving at and expressing compassion and even love for their oppressors, and of using conscious and reflective action to inspire long-term social change. Approaching injustice in this way is extraordinarily challenging; mindfulness helps us do so. Gandhi considered meditation a necessary tool for anyone seeking to make the world a better place, and meditated at least an hour per day in order to cultivate the inner resources needed to fight the widespread injustice that surrounded him. On a particularly challenging day of working on his mission of driving out a colonial power from his homeland and ending the centuries-old bloodshed between Muslims and Hindus, he famously stated, “I have so much to accomplish today that I must meditate for two hours instead of one.” Clearly Gandhi – unlike Professor Ghodsee – did not view meditation as a method of “ignoring” societal injustices and retreating into passive inaction. Instead, he viewed meditation as an essential tool that allowed him to far more effectively fight injustice and bring about social change. Martin Luther King, Jr., whose civil rights method was inspired by Gandhi, openly referred to Gandhi as “the guiding light of our technique of nonviolent social change” (Papers 5:231). MLK explained that studying Gandhian philosophy led him to adopt his non-violent, non-reactive, and love-based approach to fighting racial injustice. Of course, many within the civil rights movement at the time, such as Malcolm X, criticized MLK’s approach as weak and destined for failure, and instead insisted that the only way racial injustice could be overcome was by meeting the white man with anger, aggression, and counter-violence. Malcolm X publicly mocked MLK’s method of non-violence and compassion for one’s oppressors. In contrast to the hostile and forceful approach to fighting injustice espoused by Malcolm X, MLK’s approach was inspired by India’s mindfulness principles of non-reactivity, compassion, and strategic finesse. Nelson Mandela, who had a daily meditation practice (which he developed while imprisoned), often discussed the importance of silent solitude and meditation in allowing him to advocate so effectively against apartheid and other racial injustice in South Africa. To Mandela, silent reflection and meditation were essential to combatting societal injustice. This is why Gil Fronsdal, a leading American teacher and scholar on mindfulness, describes meditation on the cushion as “mindfulness with training wheels” and notes that “we take off the training wheels when we bring our practice into our daily life.” Consistent with countless Western and Eastern mindfulness teachers, Mr. Fronsdal emphasizes that the fundamental reason for adopting a mindfulness practice is to help one live a better life, to positively impact other people, and to benefit society: “Perhaps that’s where the practice really becomes meaningful: Does it really change and support your life? Does it help you live a better life? Does it help your society become a better place? Do other people benefit from you being mindful and practicing?” In other words, the fundamental purpose of mindfulness is to live a better life and help build a better world. Intertwined with her mistaken belief that mindfulness detracts from our desire or ability to improve the world, Professor Ghodsee mistakenly assumes that mindfulness’ focus on transforming oneself is inconsistent with a focus on transforming the world. She contends that in the face of injustice in our world or workplace, “mindfulness experts suggest that practitioners need to seek relief by transforming themselves,” which she claims allows the injustice to continue unfettered. Professor Ghodsee’s argument is based on the mistaken assumption that transforming oneself and transforming our environment are somehow mutually exclusive. That is, we must choose to either change ourselves or change the world, and that if we choose the former, we sabotage the latter. This is not the case. Contrary to Professor Ghodsee’s assumption, mindfulness principles espouse that transforming ourselves is not a substitute for transforming our world, but rather an essential tool for doing so. Hence, Gandhi’s landmark quote: “Be the change you wish to see in the world.” Gandhi was of course not suggesting that you should merely change yourself, and stop attempting to change the world. He was stating that in order to maximally change the world, you must first change yourself. Similarly, Mandela underscored that only once he was able to transform his own personal demons, such as the arrogance and other destructive emotions that he rampantly experienced for much of his life, was he able to impact the world in the way that he did. I have personally witnessed countless examples of mindfulness practitioners successfully apply the “transform oneself in order to transform one’s environment” approach in the workplace, such as when a group of attorneys at a high-level corporate law firm used mindfulness practices to overcome their fear of formally communicating their workplace critiques to the rather intimidating managing partner of the firm (which led to improved workplace conditions at the firm), a CEO at a large American company transforming his view on employee wellness and subsequently encouraging employees to use more of their vacation time and to truly “unplug” while out of the office, and a mindfulness program at an insurance company leading to an anonymous “employee concern” procedure in which management agreed to respond to each and every concern or recommendation raised by an employee (which has led to several policy changes within the company). In each of these examples (and countless others), individuals used mindfulness practices not to sedate themselves into passively accepting their current workplace conditions, but rather to make important changes to their own thinking, communication and behavior that allowed them to achieve critical improvements to their working conditions. Mindfulness teaches us to transform ourselves so that we can transform our environment and world in real and meaningful ways. Lastly, and also related to her above misconceptions, Professor Ghodsee asserts that mindfulness calls for purging or “blocking out” one’s painful emotions and concern for others, explaining that when she would hear of societal tragedy or injustice, she would “retreat” to her mat and “purg[e] negative thoughts and block[ ] out concern for world events beyond my control.” Professor Ghodsee’s technique does not sound like mindfulness; in fact, it defies mindfulness principles. Mindfulness invites us to accept our thoughts and emotions as they are – without judging them as “undesirable” and without trying to dispel them. When the typical person experiences emotional pain or troubling thoughts, as Professor Ghodsee notes she has experienced, there is a natural desire to try to purge them or block them out as soon as possible. “Go away, asap!” is what we plead for. But mindfulness takes the opposite approach: rather than “purge” them; patiently sit with them. And rather than “block them,” fully experience those uncomfortable emotions and thoughts. That mindfulness increases our ability to experience our emotions in healthy ways (rather than “block them out”) is hardly surprising, considering that mindfulness has been shown by Harvard neuroscientists to cause structural improvements in the region of the brain responsible for emotional processing. See: “Mindfulness Practice Leads to Increases in Regional Brain Gray Matter Density.” In using meditation to “block out” negative thoughts and emotions, Professor Ghodsee was acting in direct contravention to mindfulness principles (and was having experiences that were at odds with widespread scientific research on mindfulness). Rather than engaging in mindfulness, it appears that Professor Ghodsee was engaging in denial-fulness. In sum, the “dangers of McMindfulness” that Professor Ghodsee outlines are premised on fundamental misunderstandings of mindfulness principles. When accurately understood and properly practiced, mindfulness calls for conscious action in response to societal injustice (not passive inaction); mindfulness helps us transform ourselves so that we can more effectively transform our world and workplace (not so that we can acquiesce to the existing environment); and mindfulness allows us to fully and nonjudgmentally experience our uncomfortable emotions and thoughts (not block or purge them) so that we can process them in healthy and adaptive ways. While the dangers that Professor Ghodsee identifies are legitimate, mindfulness is actually the path to overcoming, rather than inducing, those dangers. To access our newly populated Idea Bank/Database, simply click the hyperlinked text below and it will take you to the database. The database is free and open (no password needed to access). We hope you find the materials in this database useful. Please note: to protect the integrity of the site, we have not provided for a way to directly add materials. Therefore, if you would like to add anything to the site, please send a copy to us (email: mindfulnessaffinitygroup@gmail.com) and we will handle posting it for you. We welcome and appreciate new submissions and feedback.